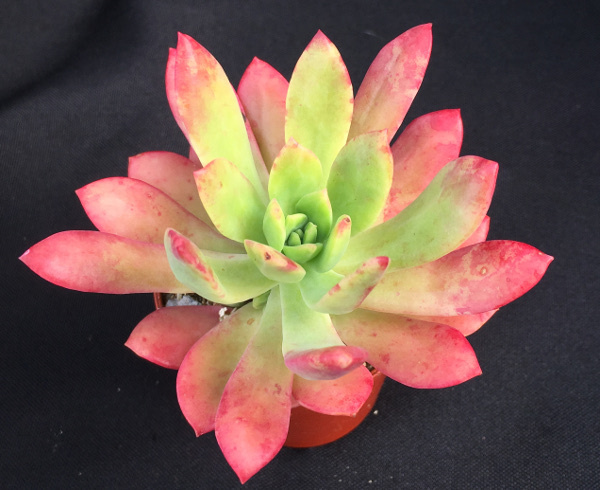 Echeveria ssp. 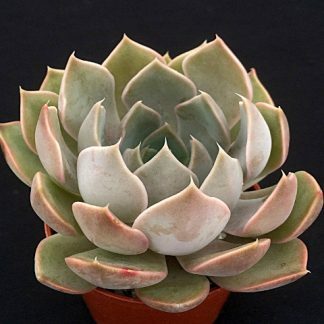 nova is an upright variety that produces little offsets as it grows, in time it will also offset from around the base. 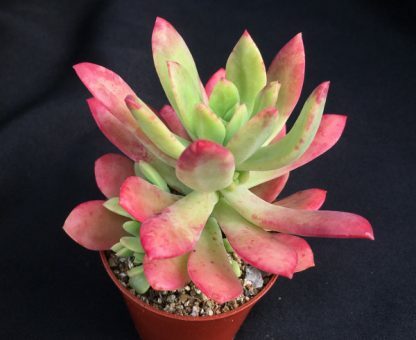 If planted in strong sunlight this succulent will produce a lovely salmon pink colouring to the leaves.